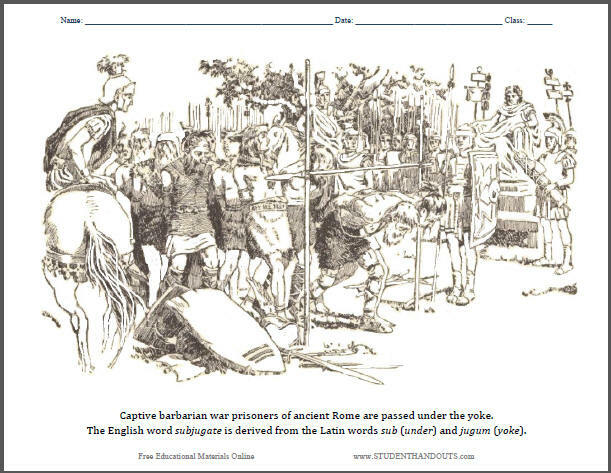 "Captive barbarian war prisoners of ancient Rome are passed under the yoke. The English word subjugate is derived from the Latin words sub (under) and jugum (yoke)." Click here to print.